College hockey player Scott’s self-destructive behaviour has his world imploding. He loses the plot on the ice, punches his best mate, confesses to his coach that he is on steroids. Hayne is an artist and an art major. He has a lovely, giving soul and he is full of emotion and generosity. As a reader that knows nothing about art, seeing Hayne’s passion and enthusiasm for painting was exciting. I’d never read a character like Hayne before, he is enchanting. At first glance, Scott isn’t the most likely hero with his life all upside down but Hayne see Scott in a different light. It wasn’t long before I was seeing Scott in a different light too, I wanted to take care of him. This is a romance about two young men who are very different but fit together perfectly. Their romance is beautiful, and I loved seeing them look after each other and at a time in their lives when everything around them was changing. This story is a good example of why I am so enamoured with m/m hockey romances. It is simply lovely. This is the second book in the series – and is a really good addition to the family of stories by this talented duet of authors. I would recommend that you read the first book in the series, and even better the Harrisburg Railers books, which links through to this series. I do warn you that you will need to have a tissue or two to hand! And maybe not for the reasons you might initially expect. A beautiful, tough, and sweet story unfolds through this book, and much like Hayne's painting style, it is by turns frantic, frenetic, and colourful, but then slow, and grey and dark. Whatever you do, do not be put off by the unlikely star, who does little to make us like him in the first chapter. Be patient, allow the story to be told, and whilst there may be no good reason for that action, mercy is a human trait that should never be forgotten. I plan on reading this book again, it has many beautiful parts which will bring light and hope to a dull day. Thank you, RJ Scott and V.L. Locey once again. This was a lovely surprise. Not quite the hockey romance I was expecting, it’s the story of a student who has to rebuild his life when he is given a one-year ban from hockey. Hayne is Scott’s unlikely hero. The athlete and the artist soon find they have more in common than either would ever have expected. This is a heavier read than I expected. It is grief that initially brings Hayne and Scott together and the boys’ experiences and emotions feel very raw and very real. Other darker themes also weave through the story. So while the connection between Hayne and Scott feels very sweet and almost innocent, this is a pretty gritty read at times. I love the connection between Hayne and Scott. They balance each other beautifully and their college romance is wonderful. This is the second book in this series, but it is the first one with a real focus on university life beyond hockey. I love the characters and I’m eager for several characters to get their own books. 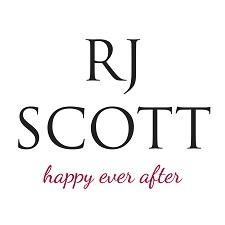 Reviewers on the Wicked Reads Review Team were provided a free copy of Scott (Owatonna U Hockey #2) by RJ Scott & V.L. Locey to read and review for this tour.